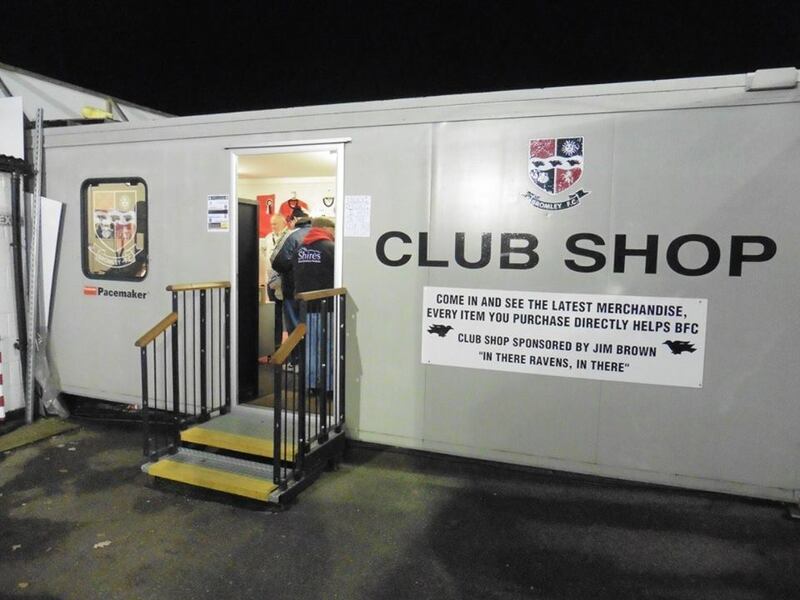 Last match I went to see: Bromley 0-2 Aldershot Town, Tuesday 28th November 2017, Vanarama National League. 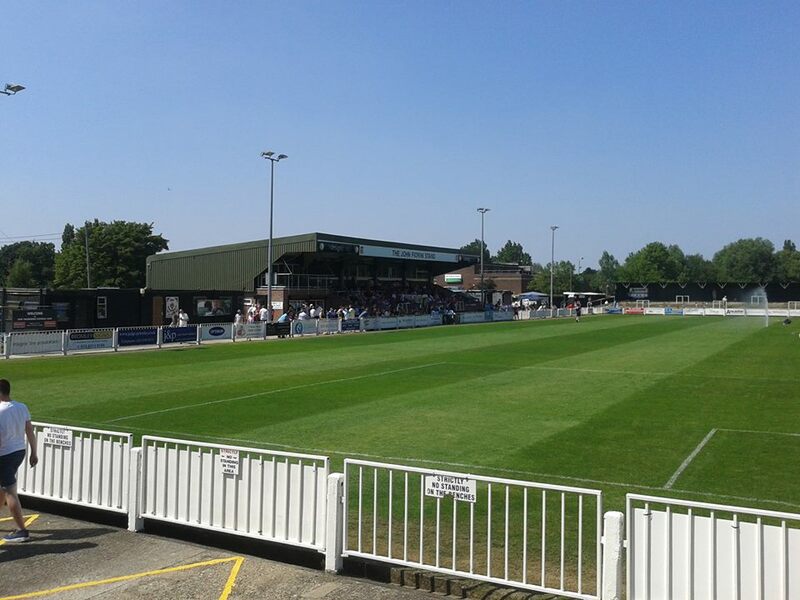 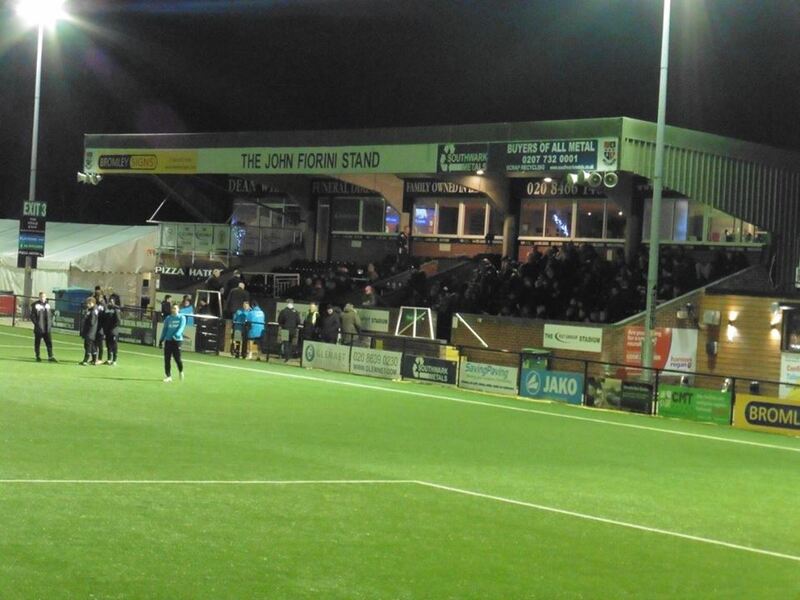 Hayes Lane has been the home of Bromley Football Club since 1938, and holds 5,000 with around 1,300 seating. 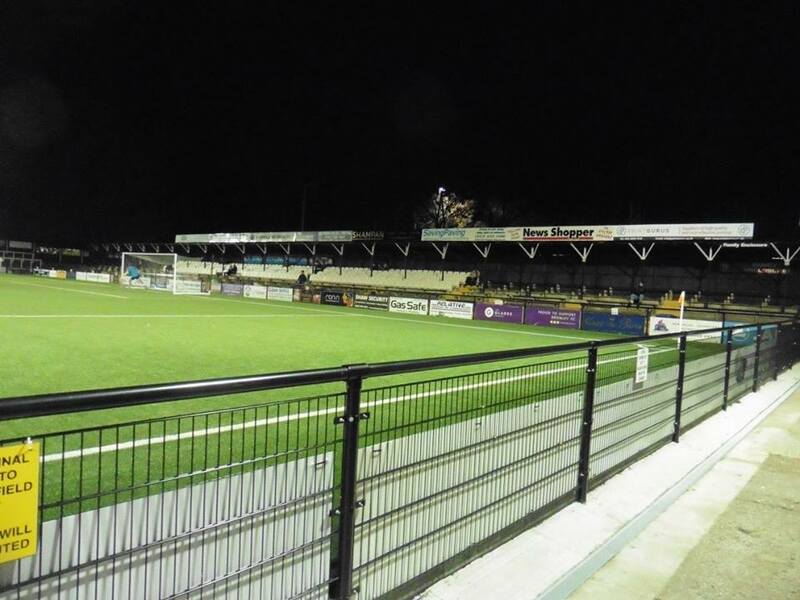 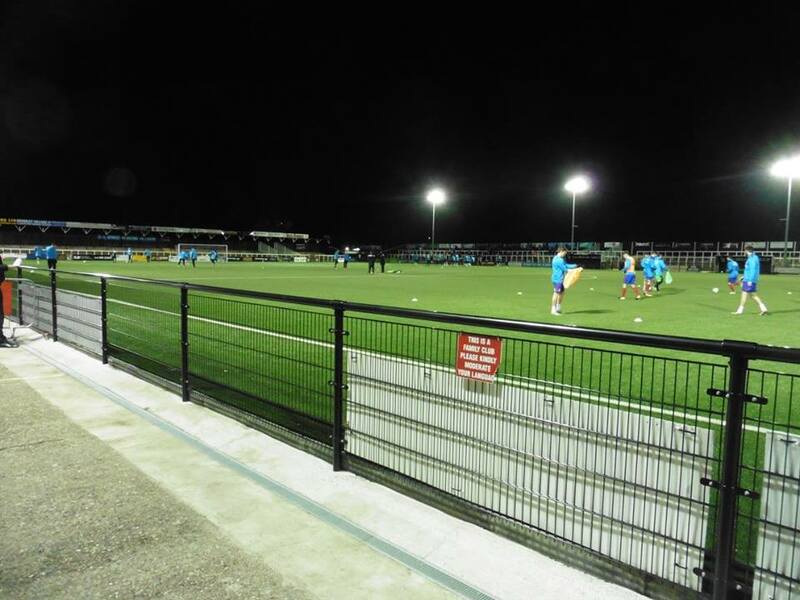 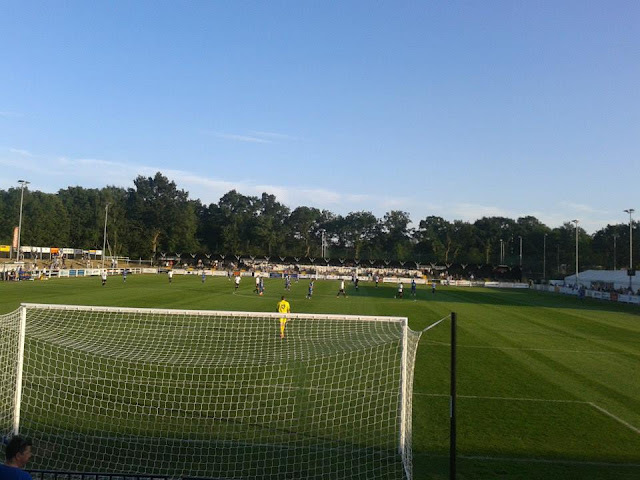 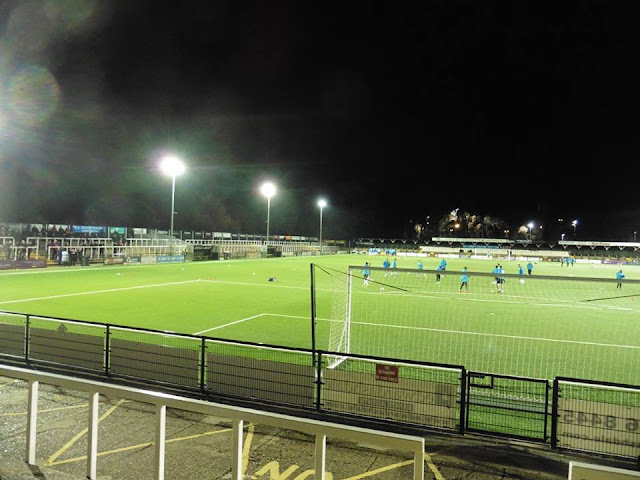 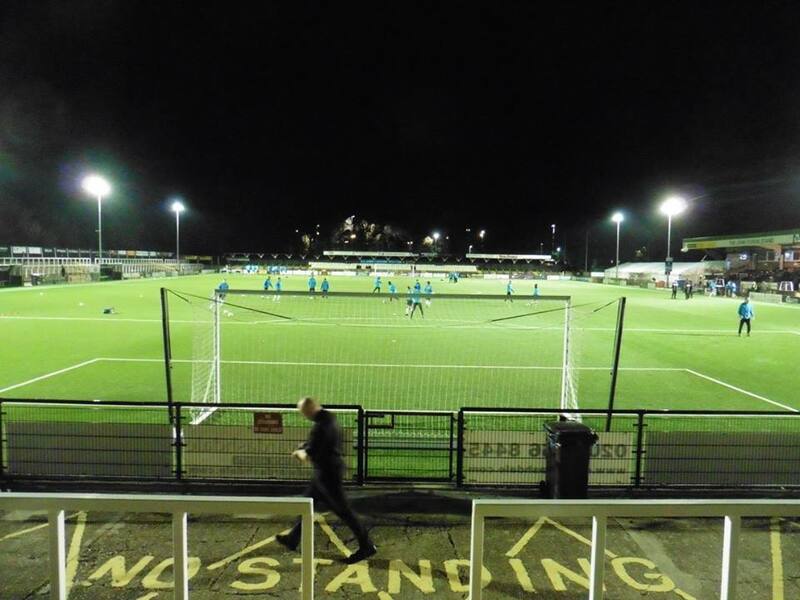 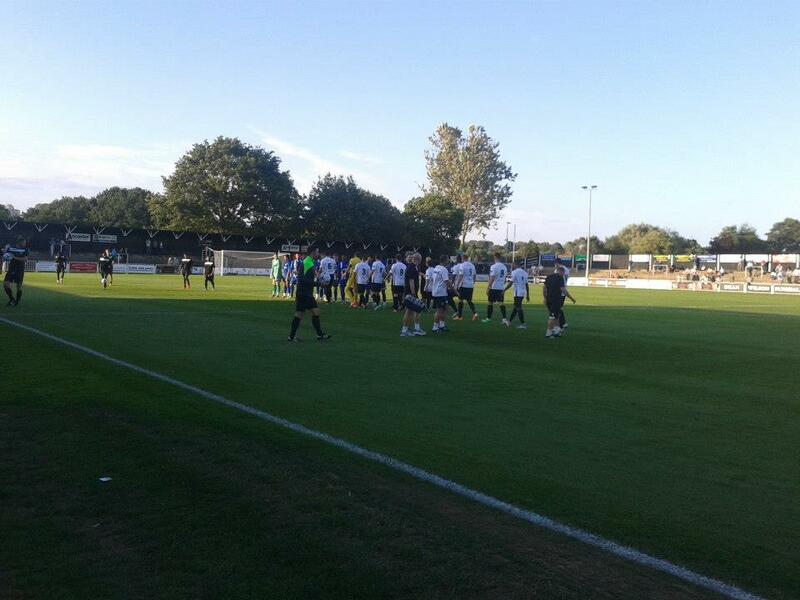 It is also the home of Cray Wanderers and Crystal Palace Ladies. I've always enjoyed visiting Hayes Lane, not too far for me to visit either. 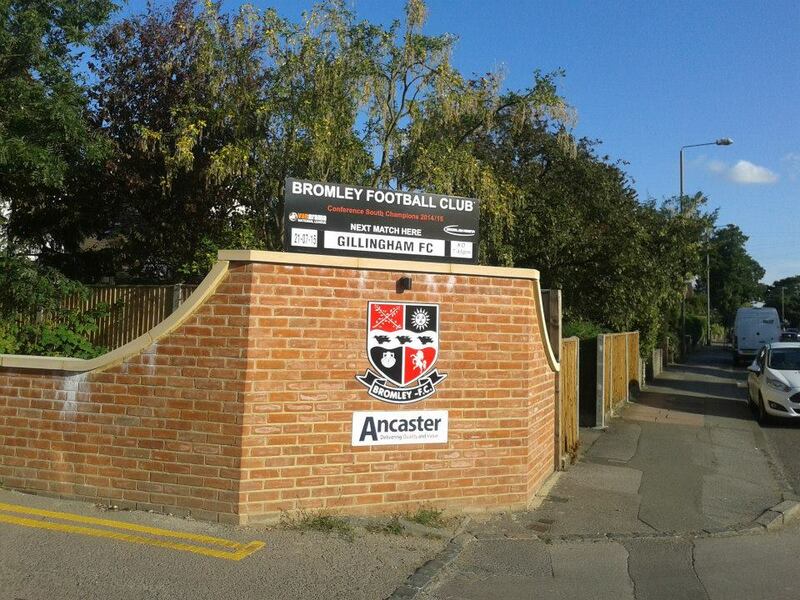 The nearest train station to Hayes Lane is Bromley South, around a 15 minute walk. To start off with, Bromley vs Aldershot wasn't originally on my plans. 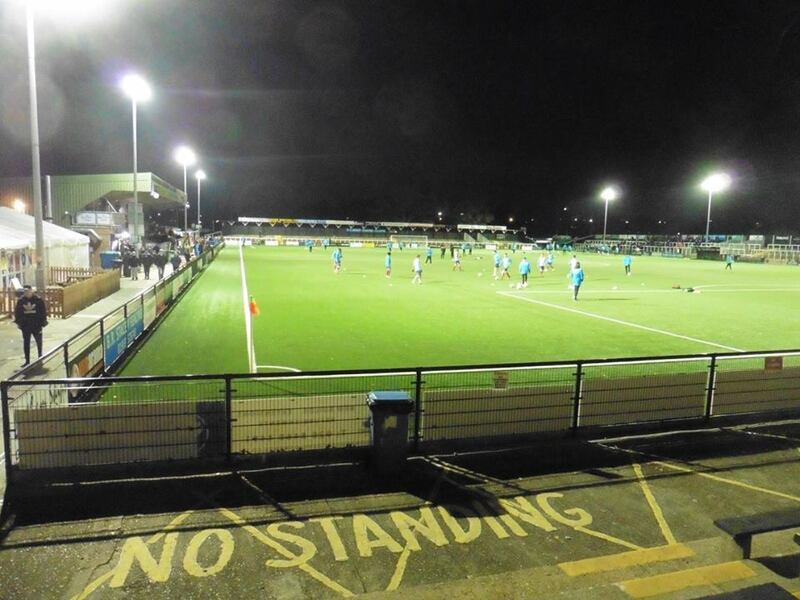 My original plan was to go to Barking, but that got postponed, unsure on the reason. 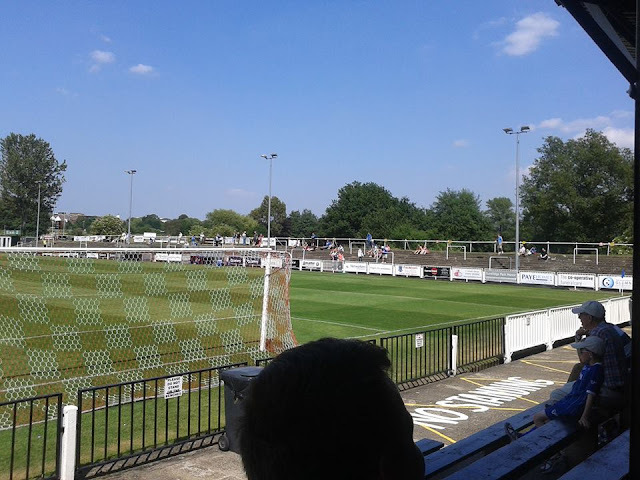 My 2nd option was Staines Town, I'm sure they were meant to be playing at home, but after checking the fixtures, that disappeared, but then I could be wrong. So after checking the fixtures again, I was short of options, Bromley vs Aldershot didn't sound too bad. 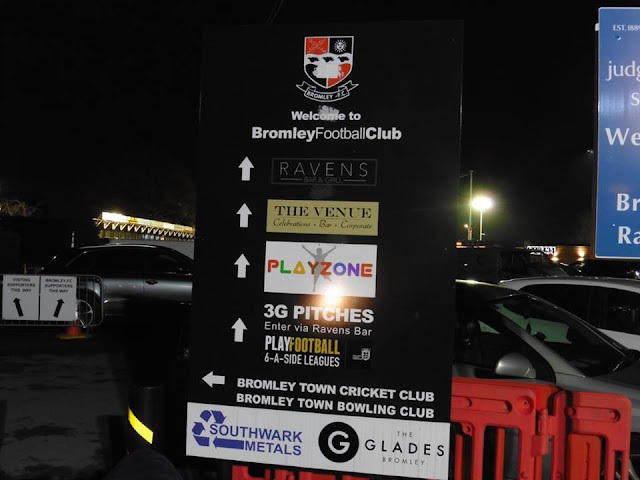 I noticed Bromley advertising the game on Facebook with £10 for adults and £5 for concessions, I think this was mainly due to the original game the previous week ended up being postponed due to electrical faults. 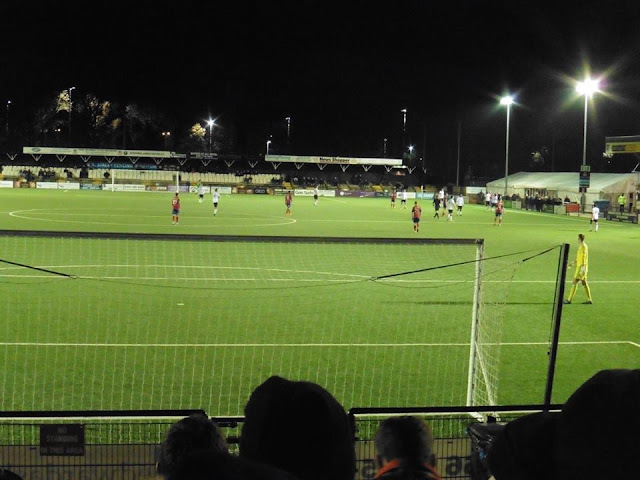 £10 for Level 5 football sounded pretty good, so I decided to do a re-visit to Hayes Lane, I hadn't been to Bromley for a couple of years and I wanted to watch some football, so it seemed like a good choice. 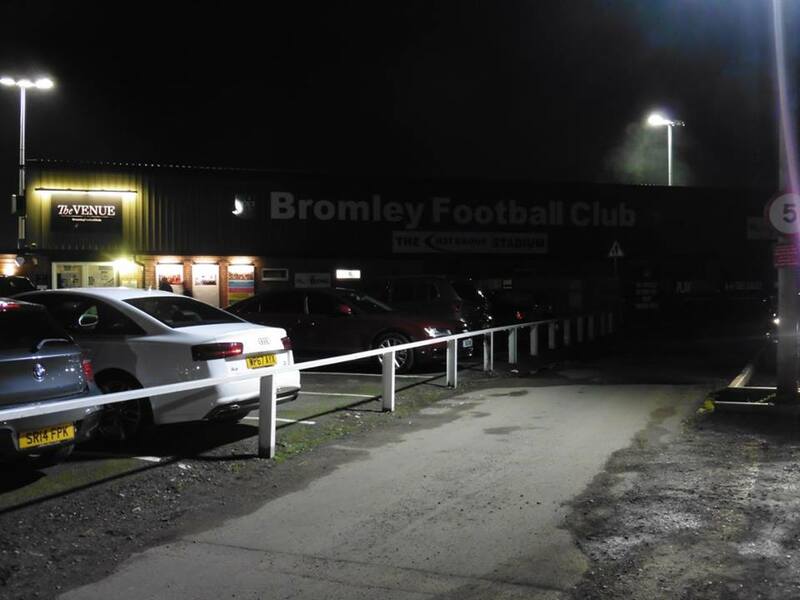 I was supporting Bromley for tonight's match, mainly due to the past as I'm not a keen lover of Aldershot as I'm sure most know. 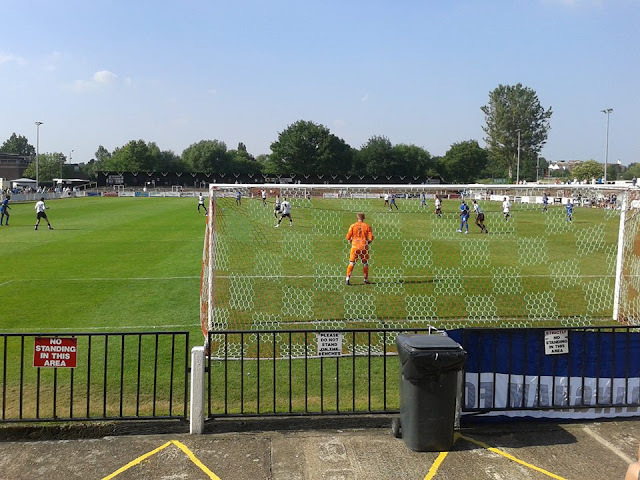 I arrived to the ground shortly after 7, took a few pictures and stood behind the goal. 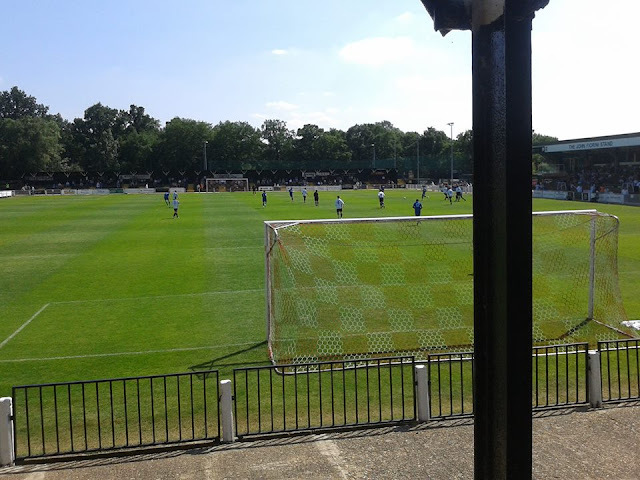 It wasn't a bad game to watch, Bromley just couldn't finish in the final third, sadly Aldershot were the better side and took their chances well. 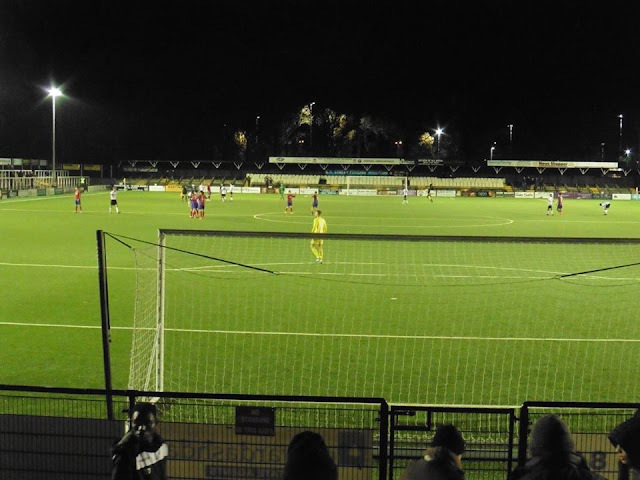 Aldershot took the lead on 28 minutes from a terrific curler from Bernard Mensah to put the Shots in front, and then went 2-0 up in the 2nd half from striker Scott Rendell on 68 minutes. It was quite confusing with the 2nd as it looked like the ball went round the back of the goal, but it turned out it went in and Aldershot were 2 up. It was quite a fiery game as well with both teams having 10 men in the end with Adam McDonnell getting 2 yellows for Aldershot and Jordan Higgs with 2 yellows for Bromley. I thought the referee was very poor, same with the linesman, giving both teams easy decisions for free-kicks. As much as I hate to admit it, Aldershot thoroughly deserved the win, and went top of the league tonight on goal difference. Tonight was my 39th game of the season, a game I quite enjoyed even though the team I was cheering on came 2nd best. 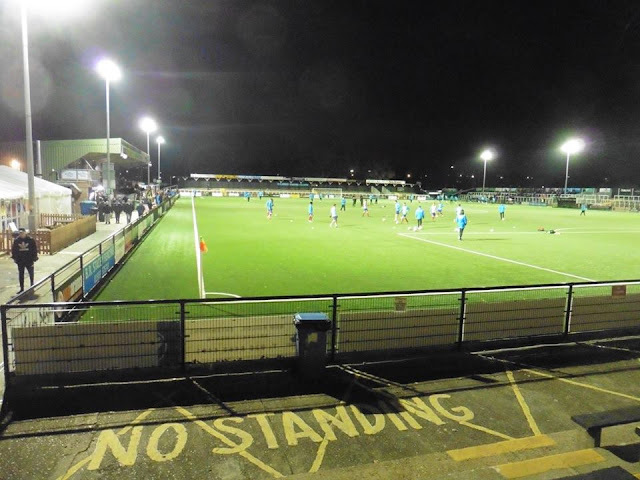 Looking forward to the weekend now, a whole weekend of football, starting with Gills vs Carlisle in the FA Cup and Man City vs West Ham on Sunday.